How can cloud services efficiently interact with required utility components and services? 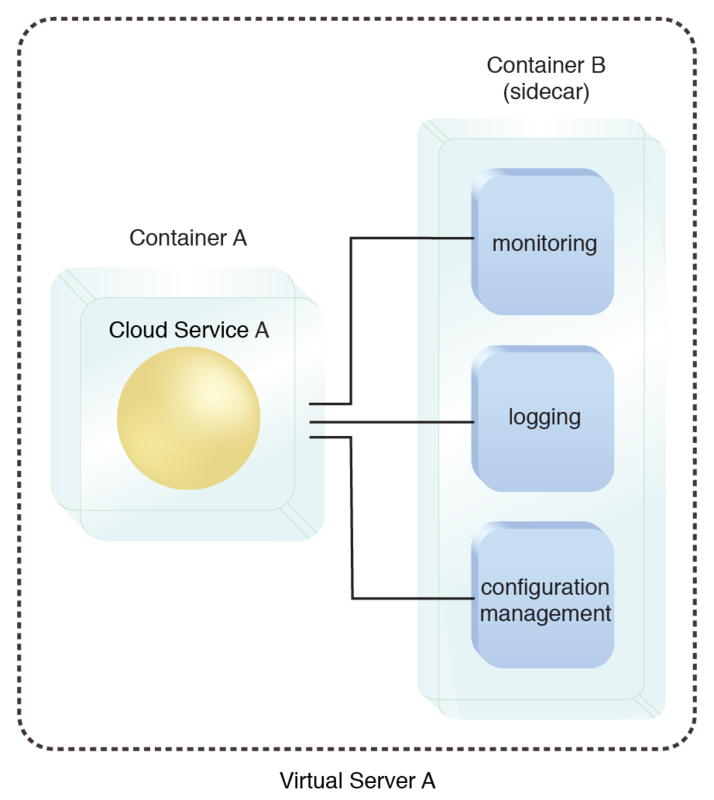 A cloud service may need access to components and services that perform common utility tasks, such as monitoring, logging and auditing. It would be impractical to redundantly copy them into the cloud service deployment boundary. At the same time, it may be inefficient for the cloud services to remotely interact with them. The utility components and services are deployed on the same host as the cloud service, thereby allowing the cloud service to efficiently access them, as needed. 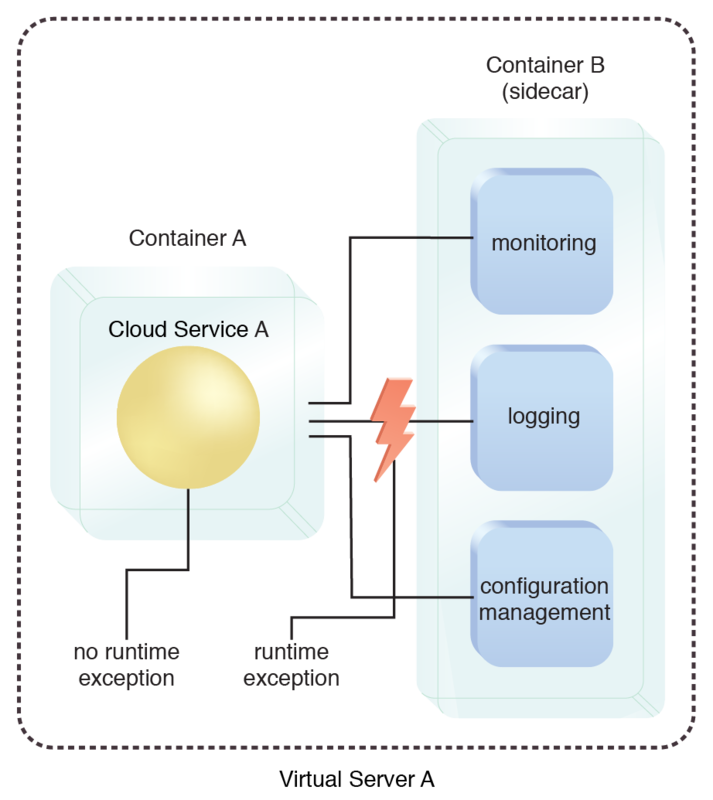 When the logging component generates a runtime exception, it is not carried over to Cloud Service A.